Does every name have a story behind it? If not every name, surely most do. Some are beautiful, some are terrible. But one thing that many have in common is that we become so used to the names, we forget the stories. Consider Philipsburg—it’s named after John Philips, but what do we really know about him? He is not particularly well known—he doesn’t even have a page on Wikipedia. How many countries have a capital named after someone so obscure? A town named after John Philips. What we do know is that he was born in Scotland and made Commander of St. Maarten by the Dutch West India Company. The West India Company was a slave trading enterprise, and every part of the Philips story involved enslaved people. He convinced planters to come to the island with their slaves by offering them land, and was a plantation owner and slaveowner himself. He gets the credit for having Fort Amsterdam rebuilt, but surely enslaved people did the actual rebuilding. Of course, many historical figures took an active part in enslaving and dehumanizing others. Thomas Jefferson is a commonly cited example. His ownership of slaves was accepted at the time, then largely erased from history. Thankfully, today we are more open about the brutality and horror of colonization and slavery, and the role of those involved. We can recognize Jefferson as a political thinker, while also seeing how terribly incomplete his vision of democracy was. On St. Martin, many names we use today are linked to slavery. Consider all the towns and neighborhoods named after plantations where people were enslaved: Hope Estate, Belvedere, Mary’s Fancy and Madame Estate. There are neighborhoods, real estate developments and businesses named after plantations. 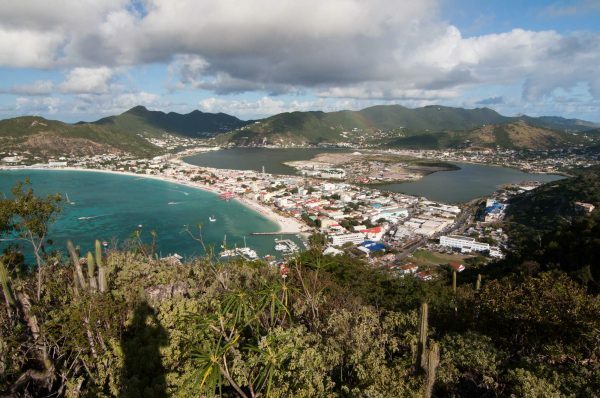 St. Martin is full of names that are both part of local heritage and linked to terrible suffering. How can the island reconcile these two things? Are we telling an honest version of the story behind the name Philipsburg? Is it reasonable to expect that every time we name something after a plantation, we recognize the enslaved people that built that plantation? What is the role of government, business owners using these names, and the people of the island? Write in to The Daily Herald, or to info@lesfruitsdemer.com and share your thoughts!